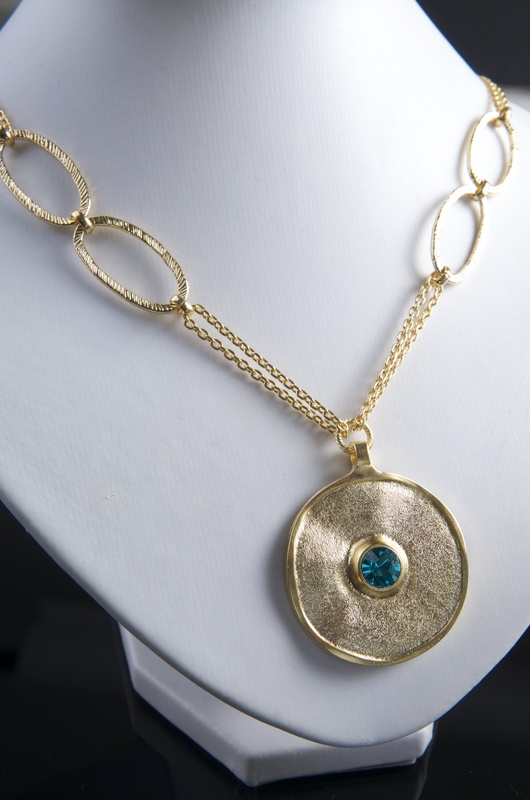 This polished gold plate disc by Anava Jewelry has a Swarovski crystal set in it center. This gold plated pendant necklace by Anava Jewelry is a true statement piece. The chain is comprised of two thin double chains linked on either side by two oblong gold rings. Below the collarbone hangs the focal point of this gold necklace, a single large, round pendant with a raised edge. The pendant is handmade and gold plated, and embellished with a single Swarovski crystal. 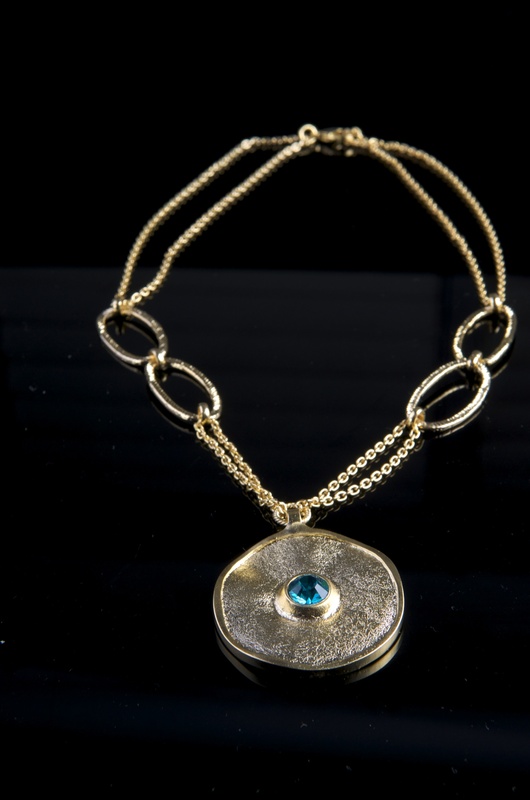 The crystal, round gold pendant, and double gold chain with double links at the side combine to make this piece a standout gold necklace that characterizes the zeitgeist in modern Israeli jewelry design. Anava Jewelry designs fine handcrafted jewelry that adds a touch of special style to any outfit. The pieces can go from day to night and make wonderful gifts for anyone who loves handmade Israeli jewelry in gold and silver plate. Definitely a must-have for any collector of modern Israeli jewelry.